With the popularity of sake on a constant rise, particularly as a choice pairing with a wide selection of cuisines, there seems to be no better time to start hunting down some the best to have at the moment. Further proof is evident in the success of sakes such as Adatara Ginjo, voted this year’s champion sake at the International Wine Challenge, and the Hatsumago densyo kimoto that was crowned the best in the Honjozo category. Both are uniquely flavourful sakes that international pundits feel would even go nicely with European foods, affirming again sake’s versatility. But we also like the amazing variety that's available across the different styles of sake, which is what inspired this list of the moment's top sips. Enjoy! Hyogo prefecture is known for its ideal microclimate for growing premium Yamada Nishiki rice, which explains why sake labels are still named after the address of the rice fields here. Saido 1292—the address where the Yamada Nishiki rice for this bottle is harvested—is a slope that faces south and experiences a significant gap in day-time and night-time temperatures. As a result, the sake boasts vibrant umami, bitterness and acidity. Best with red meat such as grilled beef top-round, or tuna akami sushi (sushi rice is made using red vinegar). This sake is made using the ancient Bodaimoto method. Considered the original Kimoto sake brewing technique, it utilises cultivated native lactic acid and koji bacteria from the area. As a result, every batch has a different taste profile. However, compared to more standard styles of sake, it is sweet and high in acidity. This is a non-filtered sake and water is not added after the brewing process. And its intense lactic acid aroma and flavour makes it an ideal pairing with cheese or cream sauce. This sake is made from premium Yamada Nishiki rice from the Tojo area in the Hyogo prefecture. The sake is removed from the mash without squeezing, so its flavour is very elegant. It’s processed between zero and five degrees Celsius, and even if it were aged for 10 years, the sake would still boast clean and pure flavours and aroma. Ageing also gives this sake its smooth and round texture, and its aroma is surprisingly intense. Best paired with sashimi of snapper, scallop, octopus, steamed abalone, simple flitter of prawn or white meat fish with salt, and Japanese clear soup made with kelp. This sake also uses premium quality Yamada Nishiki rice but from the renowned area of Akitsu in the Hyogo prefecture. Its flavour profile combines white peach and melon notes and has clear flavours and a long finish. Best food pairing would be with sushi or a caprese salad. This is considered a Sou-shu sake, but flavour wise, it is more like a Jyun-shu. And because it is not heavily filtered, it has good complexity and umami as well, which is why it pairs well with sashimi, grilled fish, and even beef or pork shabu shabu with ponzu sauce. This Kun-shu or aromatic sake is made with Yamada Nishiki rice from Hyogo and Tokushima prefectures. In the Kun-shu, you’ll notice a nose of tropical fruits and a complexity of flavour. It is aged for a year at 10 to 12 degree Celsius to bring out this complexity. The best pairing is with sashimi of white fish, grilled river fish, Japanese clear soup, sautéed white fish. Using 100 per cent Yamada Nishiki grains from the maker’s rice field and also from contracted farmers, this sake is made using the Kimoto method, which employs native bacteria to bring out its complexity as well as to express the terroir. 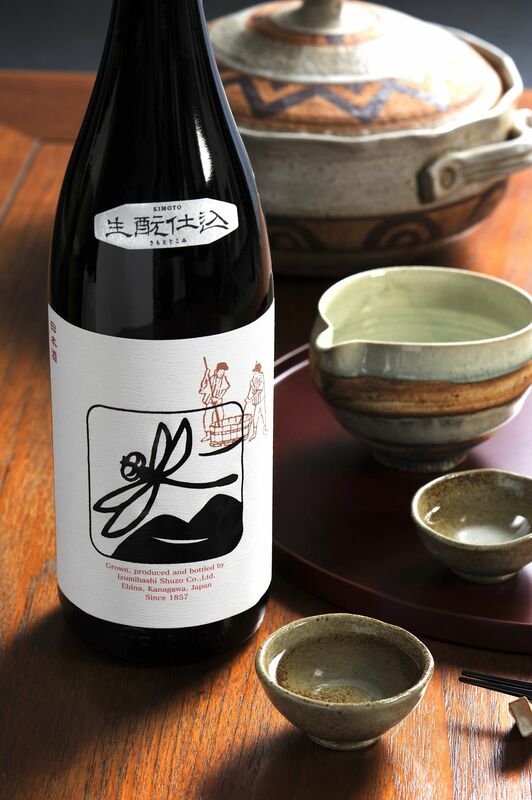 After ageing for two years, it boasts a clear impression with umami, and drinks more like a Jyun-shu type of sake. Best paired with smoked fish or meat, and roast beef. Brewed in 2000, the long ageing process has afforded this sake its amber colour and its nutty, chocolate-like flavour. Goes well with aged cheese and, yes, chocolate. This is a Gen-shu, which means no water was added, accounting for its high alcohol volume of 20 per cent to 21 per cent. It can certainly be enjoyed as a digestif. Made using the traditional Kimoto method, 15 per cent of the rice is polished (removed) to bring out bold umami flavour, making this a type of Jyun-shu sake, with very similar flavour. Enjoy it with chilli crab, and spicy Chinese and Indian foods because the sweetness complements the spiciness. Also, good with rich foods, such as foie gras and sautéed lamb. Released last October, its use of rice polished down to just one per cent made a huge impact on the sake industry and caught the attention of sake connoisseurs. This is considered a Sou-shu type of sake, which explains its light aroma of white flowers, and rice flour, not to mention its gentle sweetness. It goes nicely with a carpaccio of red snapper, but because it also has a firm structure and round flavour profile, chef Kazuhiro Hamamoto of Ki-sho Japanese restaurant—where you can enjoy this highly prized sake—says it can be paired with beef dishes.